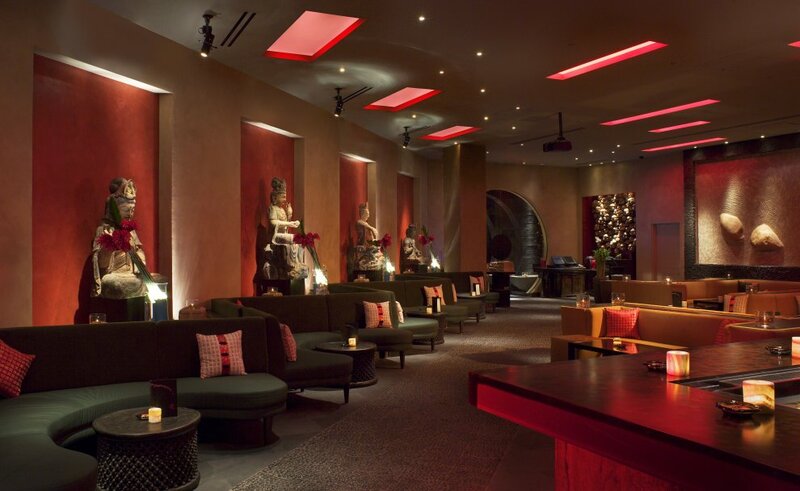 Tao Restaurant is one of Las Vegas’ hottest venues, combining a restaurant, nightclub and lounge all under one roof. 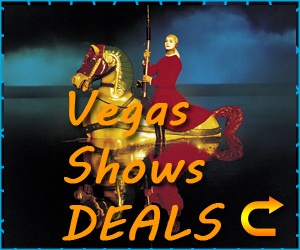 Located in the Grand Canal Shoppes the The Venetian Resort Hotel Casino, Tao Restaurant provides authentic Asian bistro with great music, people and an amazing vibe. 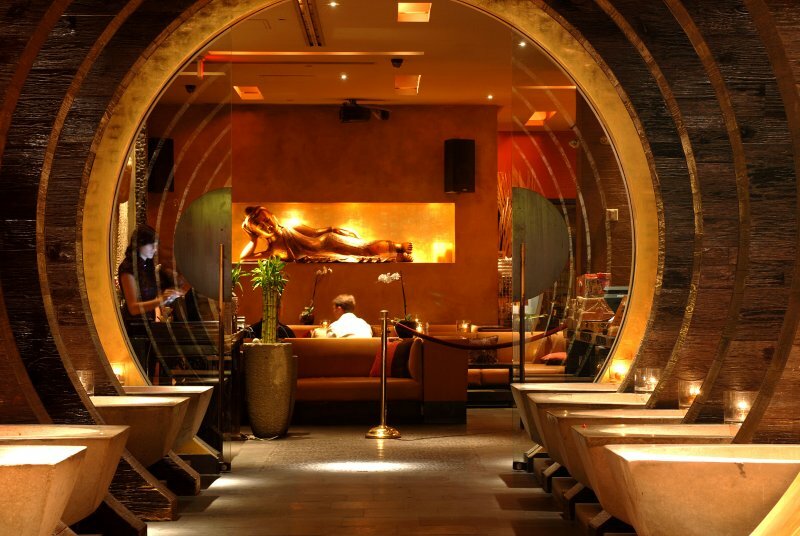 The restaurant is a regular visit for many famous celebrities, with guests such as Paris Hilton, Jamie Foxx, Bono and Madonna all walking through its doors to dine on incredible food and relax in the great atmosphere. The Pan-Asian cuisine is prepared by master chefs using the freshest ingredients to provide food that is mouth watering to look at and taste. 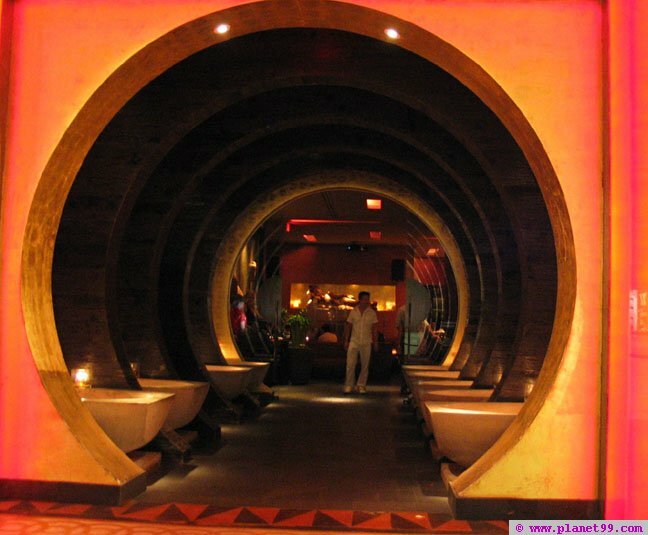 The food produced at Tao Restaurant in Las Vegas is world renowned, making it one of the most wanted restaurants in Las Vegas to dine at. 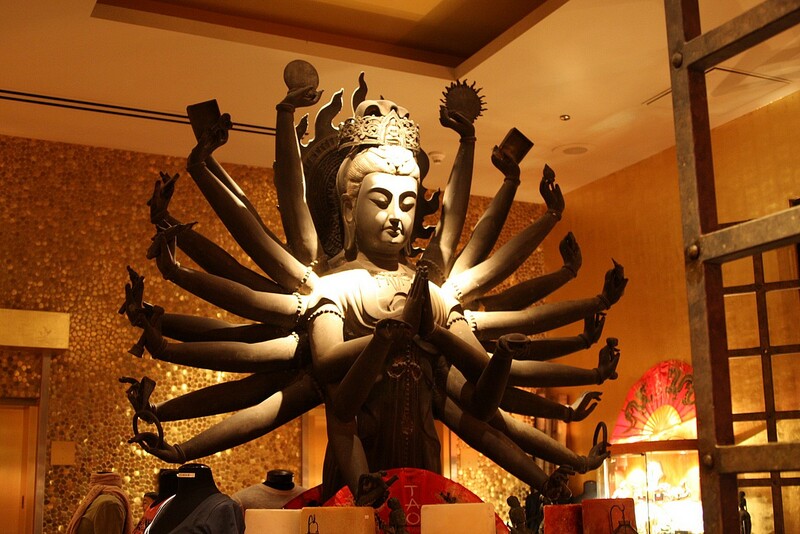 Tao’s signature 20-foot tall Buddha overlooks guests, providing a stunning eye catching monument for guests to feast their eyes on. 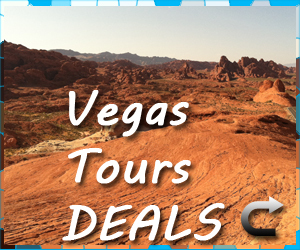 With more than 40,000 square feet of space, the Tao complex features Las Vegas’ hottest nightclub, the coolest lounge, largest banquet and of course the Tao Restaurant, one of the most sort after restaurants in Las Vegas. 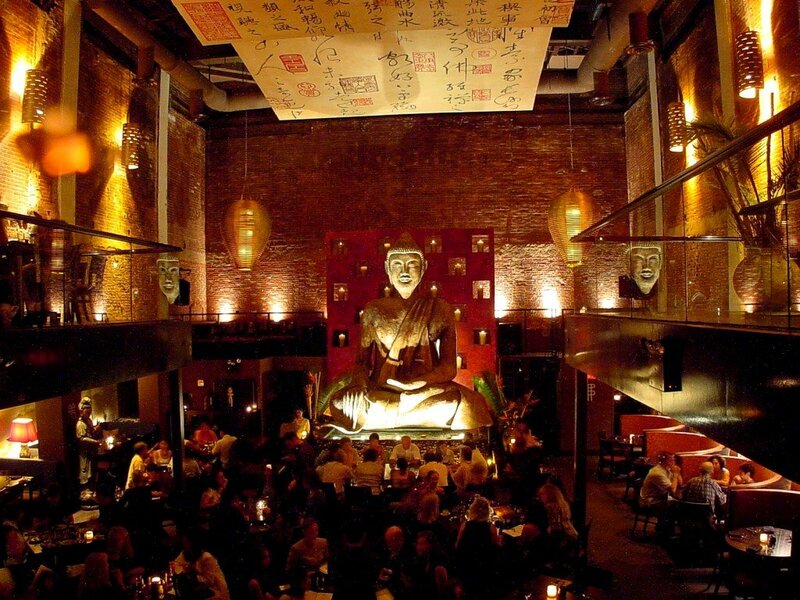 The decor is of a relaxing tone, in typical Asian style with beautiful silks, stones, old wood and hand-carved monuments such as the floating Buddha. 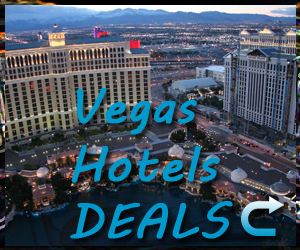 This Las Vegas restaurant can seat up to 450 guests at any one time and offers private rooms for parties or those who wish to have a more private gathering while they eat. 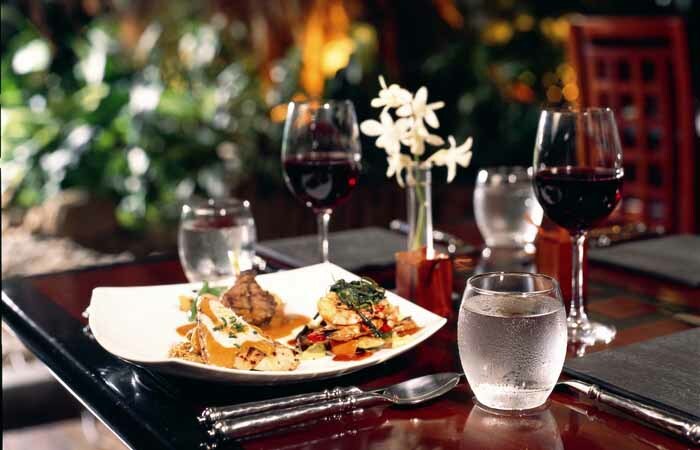 Also offered is a luxurious banquet facility for more exclusive dining. Delectable items can be ordered from the sushi bar or the ever chic ultra lounge which includes a full service bar. The Tao restaurant in Las Vegas serves exquisite culinary delights crafted by master chefs under one of the most well known venues in Las Vegas. The delightful decor keeps guests amazed while waiting for the extra ordinary food to arrive. The overwhelming popularity of this restaurant attracts many big names, so if the food and decor is not enough then people watching should cover it! 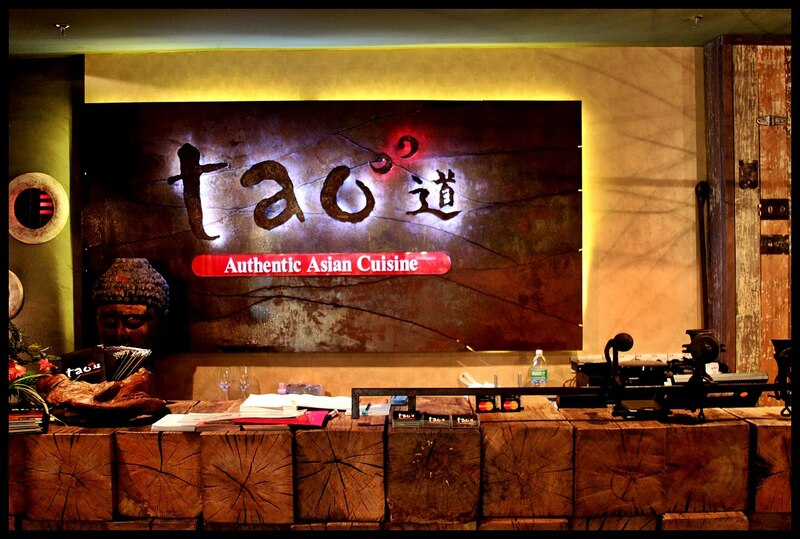 Because of the overwhelming popularity of the Tao restaurant in Las Vegas, advanced booking is advised. The restaurant advise booking at least a month in advance to avoid disappointment, but the advanced booking and wait is defiantly worth it for the chance to eat in this stunning Las Vegas restaurant! Stunning restaurant! I have been to a few restaurants in Vegas but this is defiantly the best by far! Worth the money!